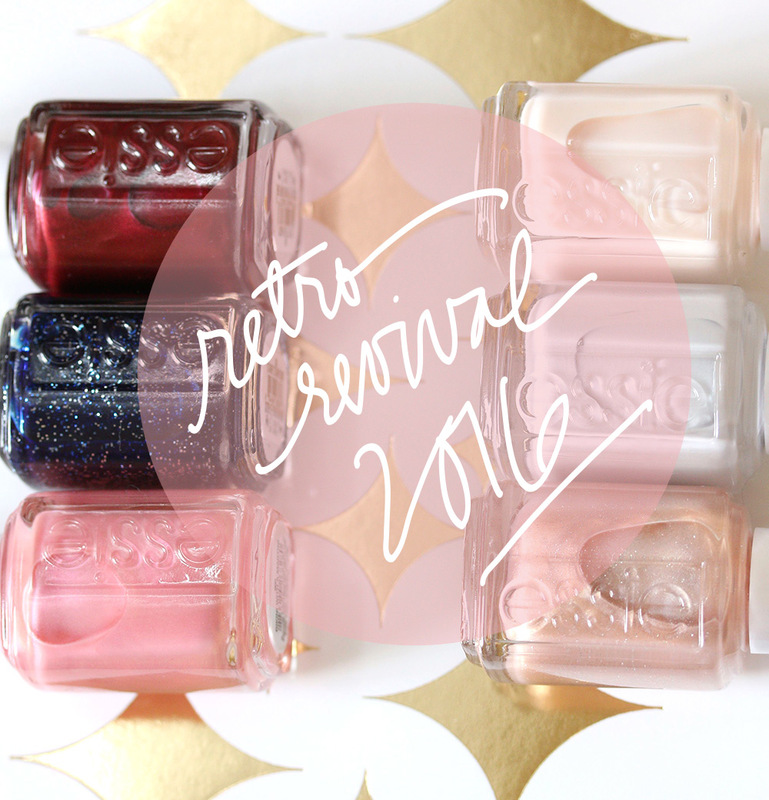 It’s a revival of the fittest over at Essie! OK, I thought that was very clever at first…but now I see that it doesn’t make a lick of sense. 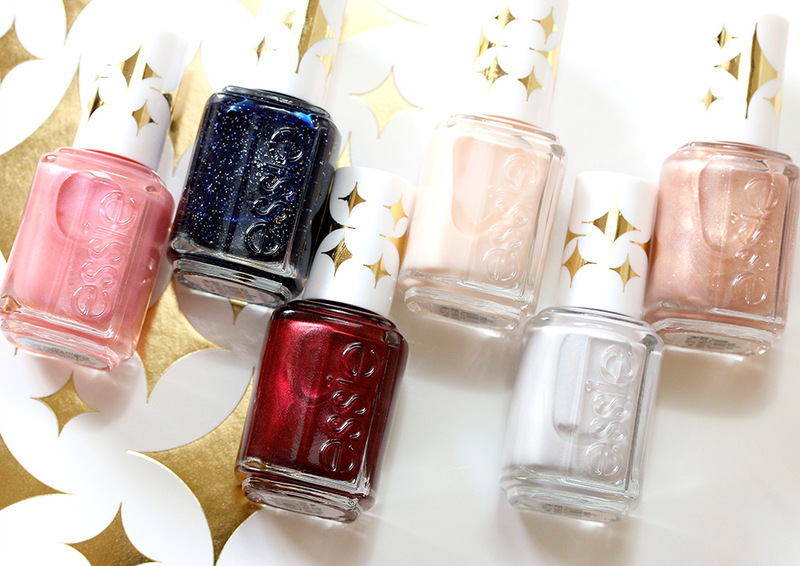 The collection comes out next month with six $8.50 polishes, all of them throwbacks to colors that were previously released in limited edition Essie launches, so it’s sort of a glance back at the brand’s 35-year history. In the comments, reader broantza left some dates for when these polishes first appeared in their respective limited edition launches (thank you, broantza!). It’s also limited edition, so if you see something you like, grab it (the collection’s on pre-sale now on the Essie website). I’m excited about this one, especially Starry Starry Night, which is the dark glittery midnight blue, and Sequin Stash, the sheer glittery bronze with tiny flecks of glitter. What can I say? Glitter — it moves me. Of the others, I did not expect to like Cabana Boy, but I do. It’s an ultra cool-toned creamy white that almost looks gray, and I dunno…I just think it looks neat. And then there’s Birthday Suit, which is a quintessentially creamy, semi-opaque Essie pastel; pearly pink Bikini With a Martini; and pearlescent reddish wine Life of the Party, which I think is GORGEOUS. When it comes Essie polishes, I rarely have an issue with wear time. With a base and top coat, I can usually get a full week out of them without any drama, and their colors? Somehow, they always manage to be wearable, even when they’re edgy. What do you think of these colors? 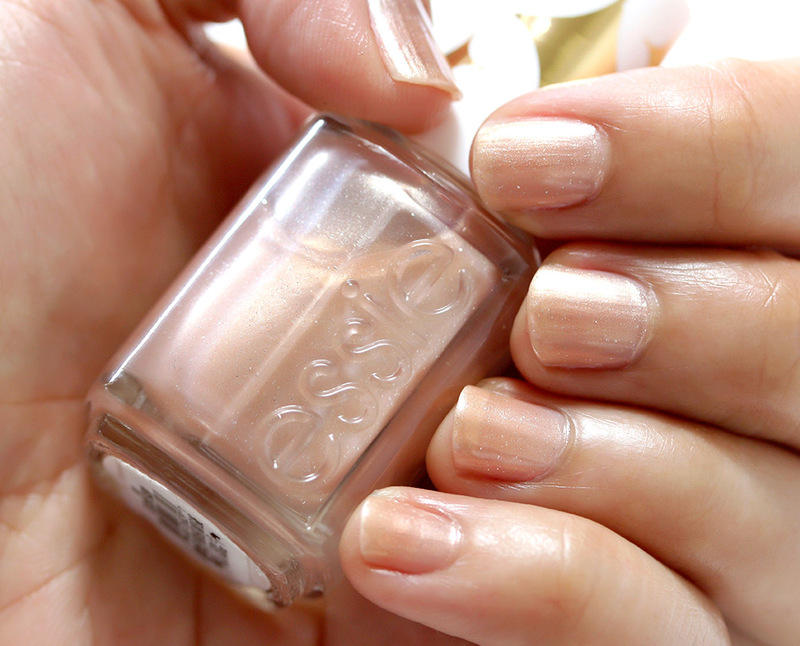 Do you see anything you like, and how do you feel about Essie in general? Next Post: When You Watch Movies, Do You Ever Check the Credits to See Who Did the Makeup? I don’t normally wear pink polish, but I really like Bikini Martini. Do you know what year each of these polishes originally launched? That just seems like it would be interested to know, and to compare trends over the years. How was Starry Starry Night upon removal? Did it leave a lot of glitter behind? (I don’t enjoy that very much, to be honest…) I did order it though, along with Bikini with a Martini and Cabana Boy. 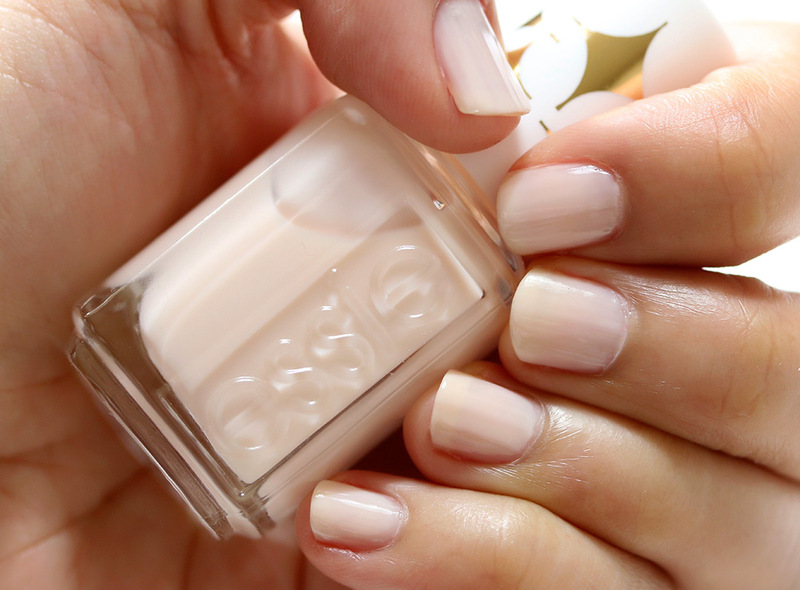 I love Essie, and I’m super excited about the launch! Is it only being sold online, or can we get it in stores? Starry Night is pretty! What a surprise that I went for the sparkly one, lol. I love Essie, but the only one that really excites me out of all of them is Life of the party. 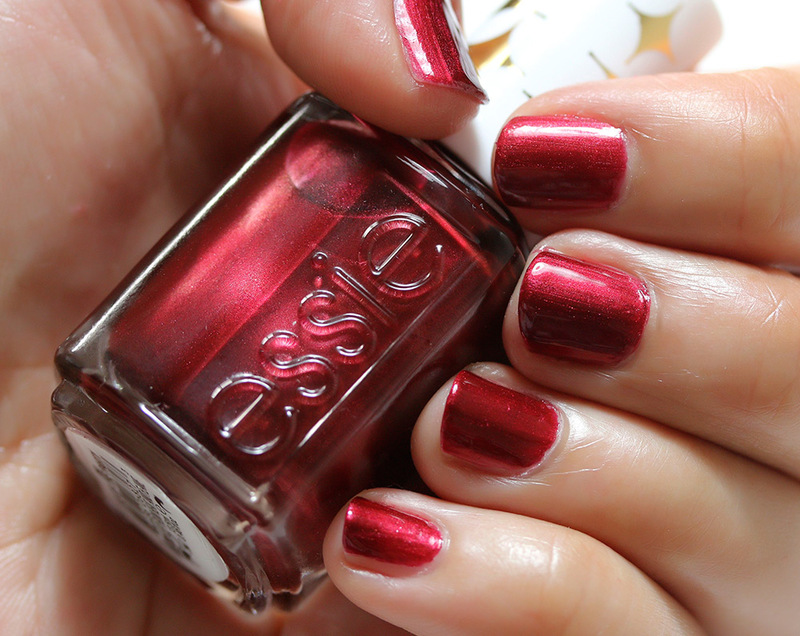 I love Essie nail polish, especially the darker plum/red shades. I don’t get manicures often, but treated myself on Monday. my favorite Fall/Winter shade is Raisinnuts. I also used to love Jellyapple. I do, however, love Ballet Slippers for a neutral look. I have never done glitter, but am thinking of it for my anniversary. Happy Holidays to all! I like the Birthday Suit one but with the Essie line you have to put on too many coats on for it to become the color in the bottle. That’s the only downfall for me. I love loud scary storms…as long as I am home and no one is getting hurt outside. 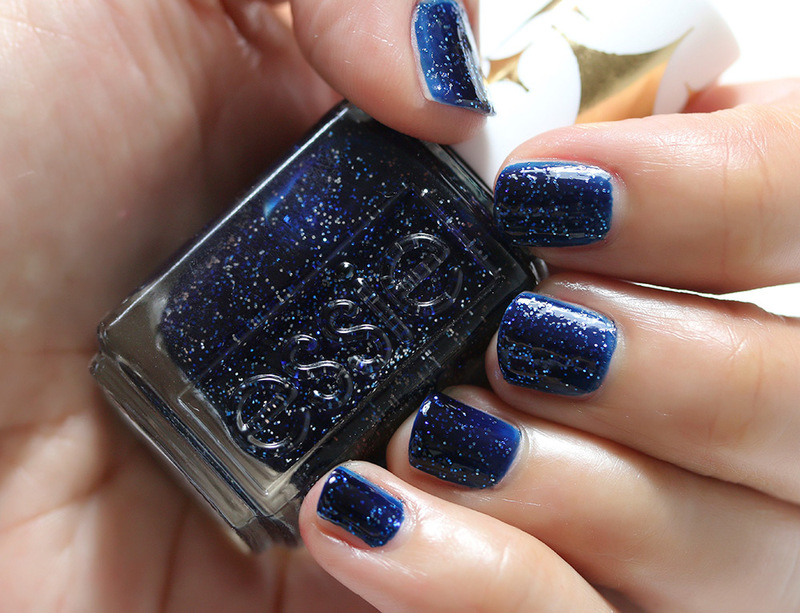 The Essie website is showing Starry Starry Night as sold out already! Will there be more? Must. Have. Starry Starry Night. I ordered two bottles of Starry Starry night. FYI they are live at Ulta online and there is also a mini set for $17 that features (4??) of the shades if anyone is trying to track that particular shade down. It looks pretty so I ordered a bottle for me and one for a friend! Couldn’t resist as it is a cult classic and everyone freaks out over it! lol. I normally really like essie products. These swatches all look pretty. I have Starry Starry Night bought maybe around mid 2000s – can not believe it was over a decade ago!! 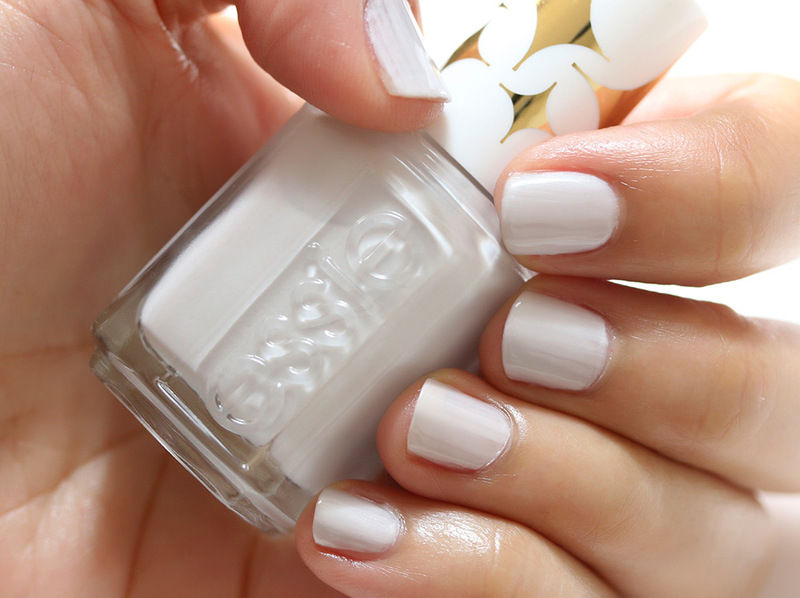 It is a great one, one of my faves from Essie. I like the look of Starry Night and Life of the Party. I think Sequin Stash looks interesting, but I’d have to swatch it first to say for sure if it’s for me. I haven’t had much long with longevity with Essie. It usually starts to chip the day I apply it and is a total wreck by day three. I have to admit it’s fairly reasonable in price. Essie was smart to bring these back. Starry Starry Night has been known to sell for $250 on eBay. I’ve read that it’s not the same as the original formula though due to the 3 free formula’s now. Some of the nail polish bloggers said the original was fast drying and had a completely different texture. It’s still really pretty and I plan on buying a bottle.